A revolutionary new component for the Tadek Marek designed Engines. Here at Aston Workshop we are continuously looking for improvement and pushing the boundaries of what can be achieved in all aspects of our business. With this approach we never settle for, its good enough, its how it is, or, its how its always been done. One area that we felt had not had considerable thought over the years was the crankshaft design for the Tadek Marek designed 6 Cylinder engines in cars ranging from the DB4 to the DBS/6. The original crank was a very well designed component, but due to limiting factors of the day and also manufacturing budget considerations surely this could be improved on ? The after-market cranks available have served people very well and have enabled engines to be built that otherwise couldn't. But again, could this be improved ? The answer is yes, in many areas. Cranks that are currently available are a "fully counterbalanced" design. Fundamentally this design principle for a straight, 6 cylinder engine is wrong, although they are manufactured from high grade steel to a very good standard and under normal operating conditions don't prove to be a problem. But they do feel reluctant to rev freely and feel "harsh" higher up the rev range. both of witch reduce torqe and BHP. Our new cranks have been designed using mathematical principles and all aspects of rotational un-balance, natural torsional frequency and rotating inertia have been understood, considered and implemented into the design. 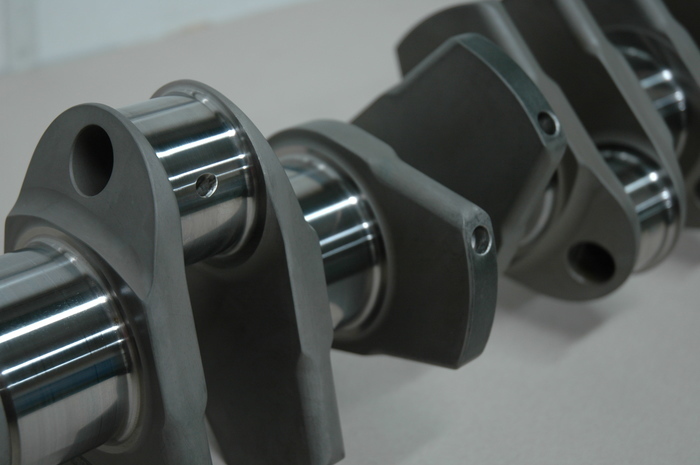 The rear end of the crank has also been re designed to allow the use of a modern "lip" seal. 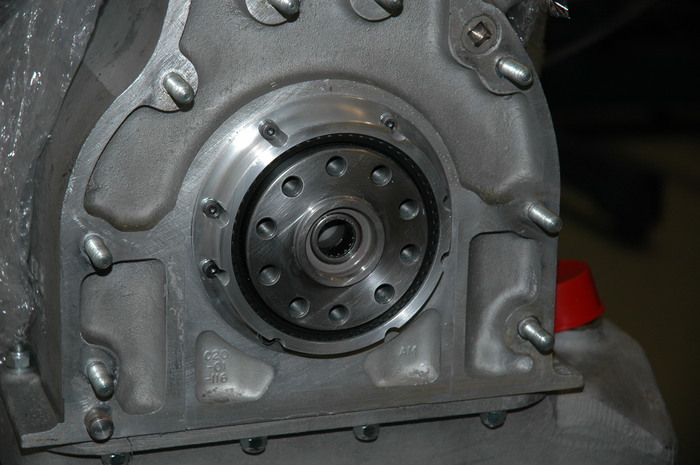 The lip seal is enclosed in a housing that bolts directly to the rear of the cylinder block without modification. Also the original bearings and con-rods can be used without any modifications. The result of all these significant improvements and design changes have produced an extremely smooth, free revving and reliable engine that will happily sustain over 6'000 RPM without any difficulty or harshness. The torque is also greatly increased lower down the rev range and the torque curve remains higher and straighter for longer giving a significant increase in BHP. The benefits of this new crank can be utilised in any specification of re build. Please contact us today to discuss your requirements further, or to pre-order this revolutionary new product. 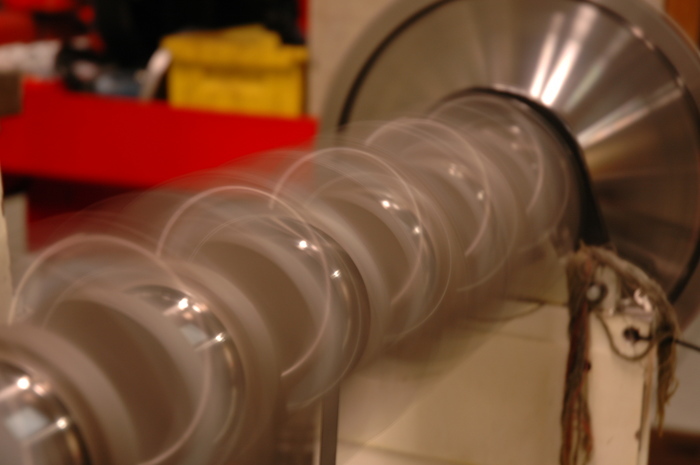 Coming Soon - A full in-depth article on the design principles behind the new LD-15 crankshaft. Keep a look out in our "Case Study" section here at Enginology. Aston Workshops Tripple webber VB6J DB2/4 engine.